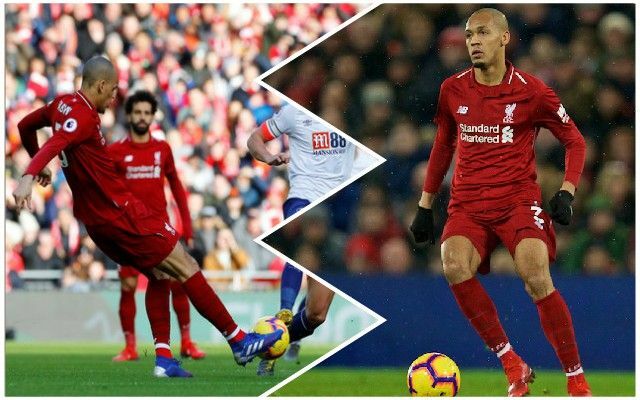 There were several Man of the Match contenders as Liverpool beat Bournemouth 3-0 at Anfield this afternoon – and Fabinho was certainly one of them. The Brazilian, selected ahead of captain Jordan Henderson to start alongside Gini Wijnaldum, bossed the game from the middle of the pitch. His stats are impressive. Jurgen Klopp picked the same midfield trio as against Bournemouth at the Vitality Stadium earlier in the year and it definitely worked a treat. Fabinho dominated from the number six role, allowing Wijnaldum to roam around alongside him and Naby Keita to get forward and create. It appears to be a formula that works. It will be interesting to see the line-up when we face Bayern Munich next. Henderson will be hopeful of returning, but the performances of Fabinho, Wijnaldum and Keita today will have given the manager food for thought.